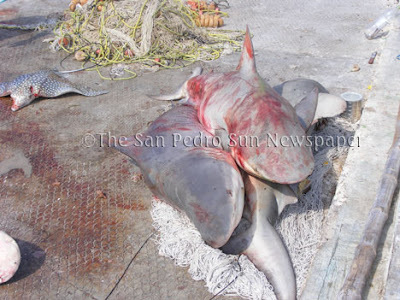 In the month of March, controversial images of fishermen slaying nurse sharks in Belizean waters circulated through the media and prompted government officials to conduct an investigation into those activities. 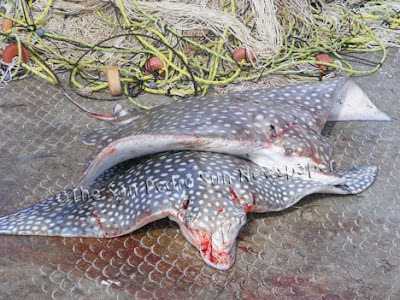 In a recent trip by one of our reporters to Campeche City in the State of Campeche, Mexico, our cameras caught these images of slaughtered eagle rays and at least two types of sharks brought ashore by local fishermen in front of “Galaria” restaurant. The catch called the attention of many by-passers and locals as people ran out of the restaurant to take a look at the sea creatures. 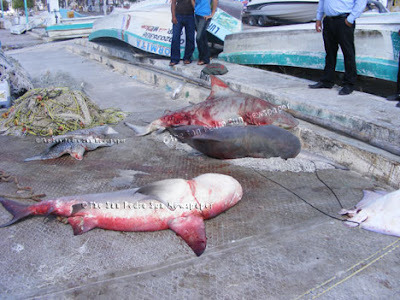 It would be interesting to know whether it is legal to hunt these animals and if the butchering is a regular practice by traditional fishermen in the northern states of Mexico to fish those marine animals. Equally interested to know are the effects that such activities might have on the entire Mesoamerican Barrier Reef System Project of which Mexico, Belize, Guatemala and Honduras form a part of.